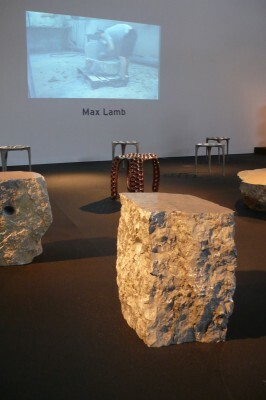 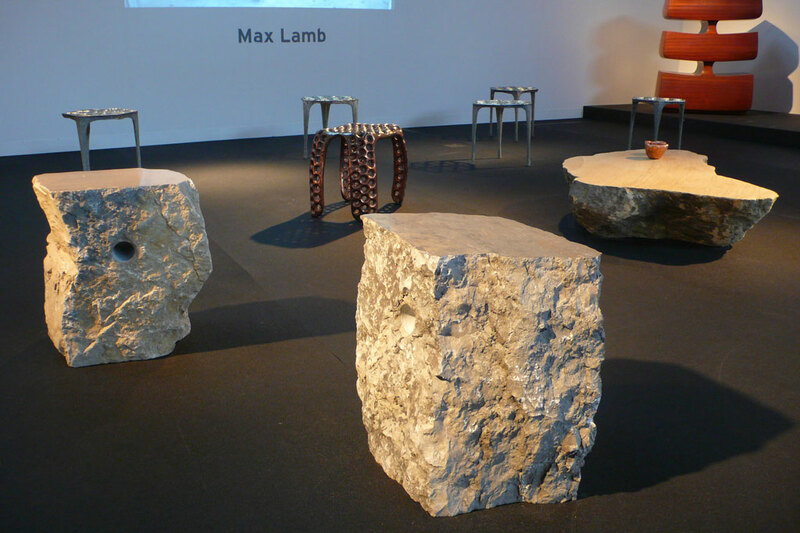 Machine-cut, drilled, hand-carved and polished in Limestone from La Cernia Quarry near Neuchatel in Switzerland. 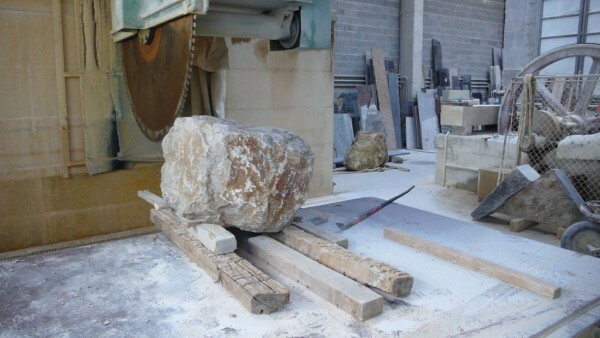 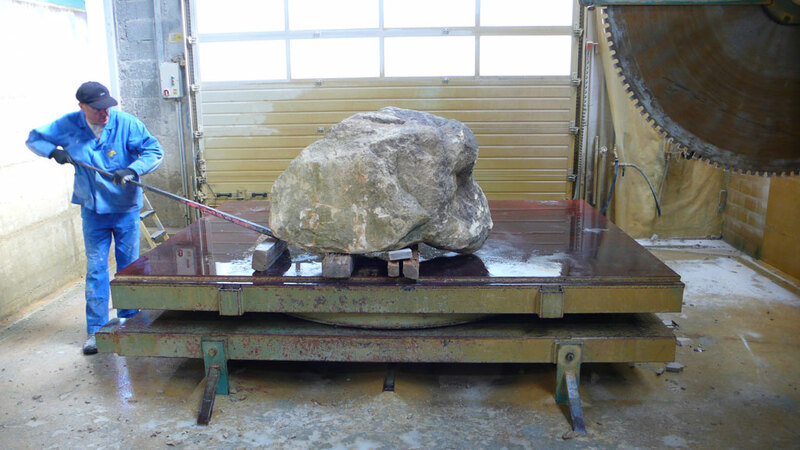 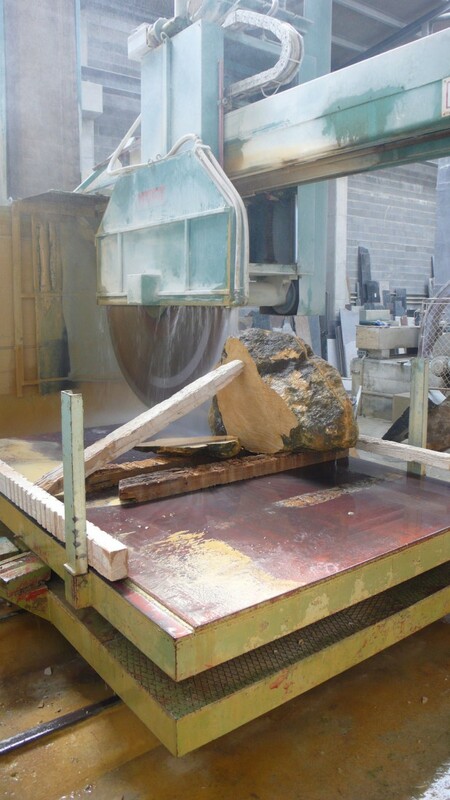 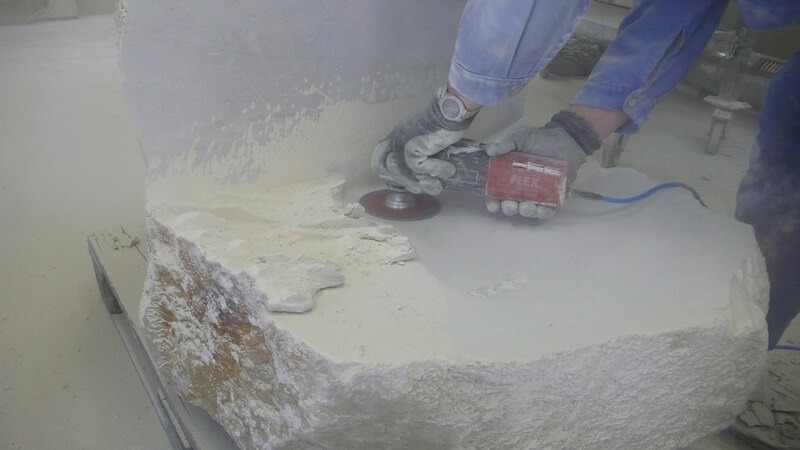 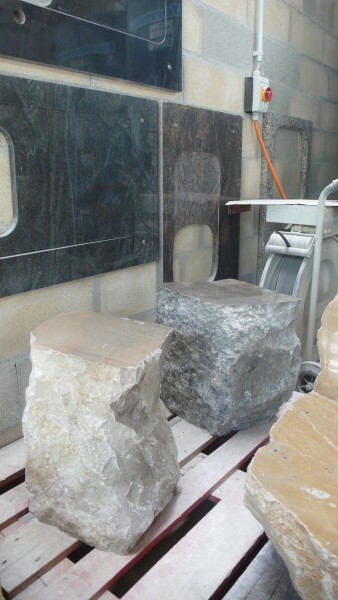 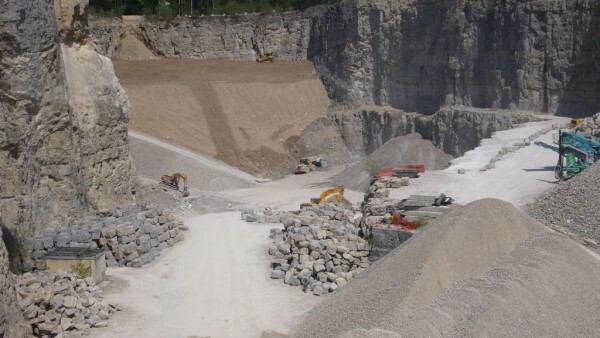 The Quarry Series is an ongoing project combining various types of stone from quarries around the world with traditional stone masonry skills and modern diamond blade stone cutting equipment. 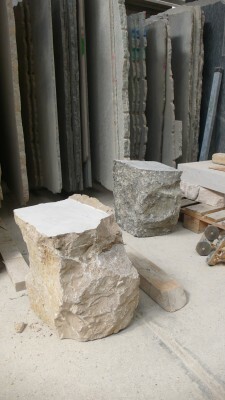 So far I have completed one chair called the Ladycross Sandstone Chair (the stone came from Ladycross Quarry in Northumberland) and a bench from the same quarry that currently sits as I left it within Ladycross Quarry, one La Cernia Limestone Chair, two stools and ‘Twin Tables’ were made in a small limestone quarry in Neuchatel whilst I was teaching in Switzerland, a chair called the Goonvean Granite Chair (Goonvean Clay quarry in St Austell Cornwall) remains in progress, and most recently I have produced the Delaware Blustone Collection during a two week expedition to the Catskill Mountains in New York State. 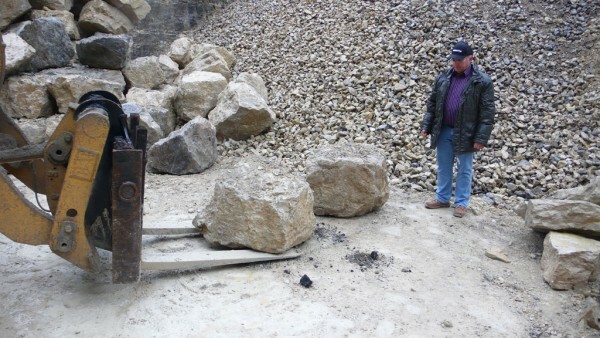 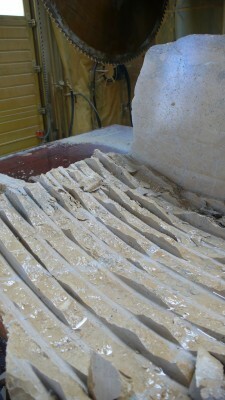 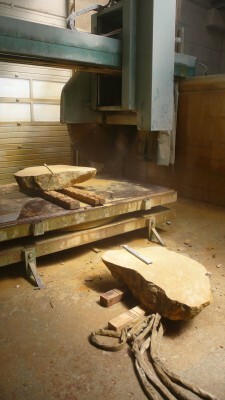 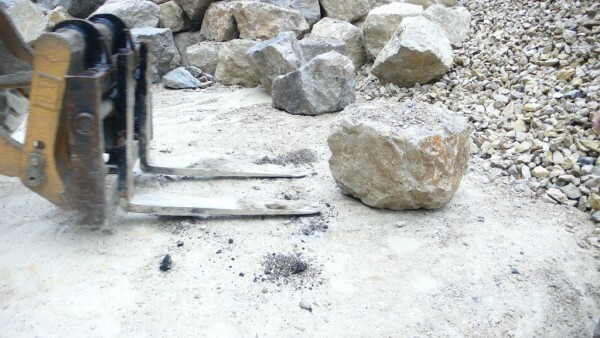 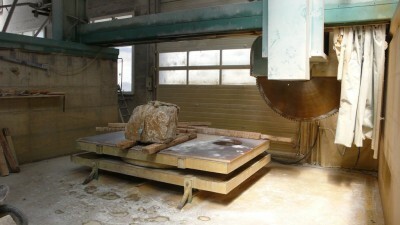 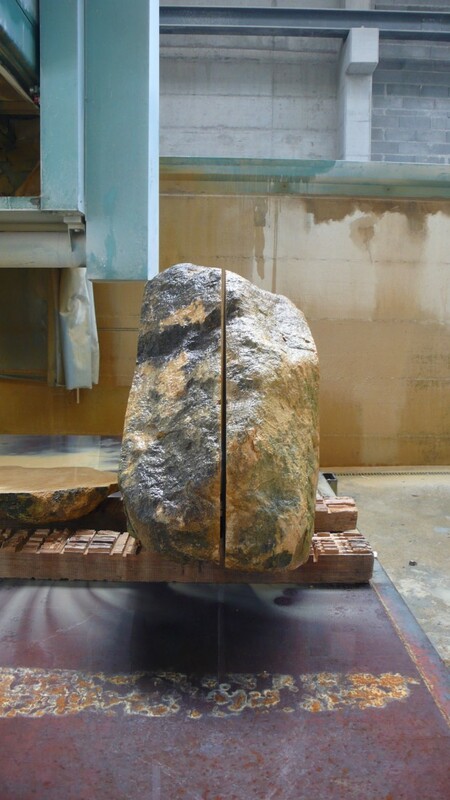 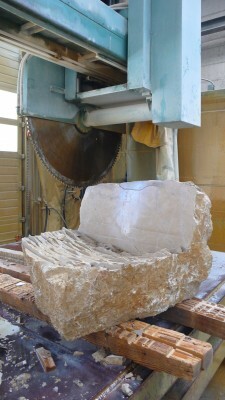 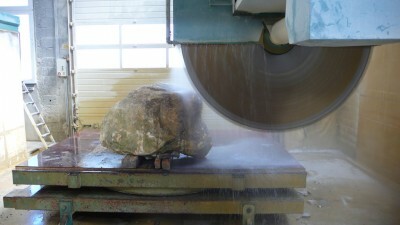 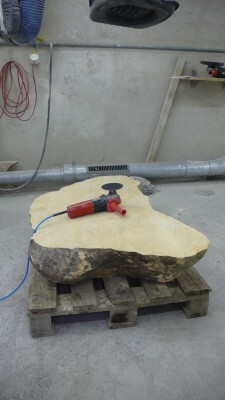 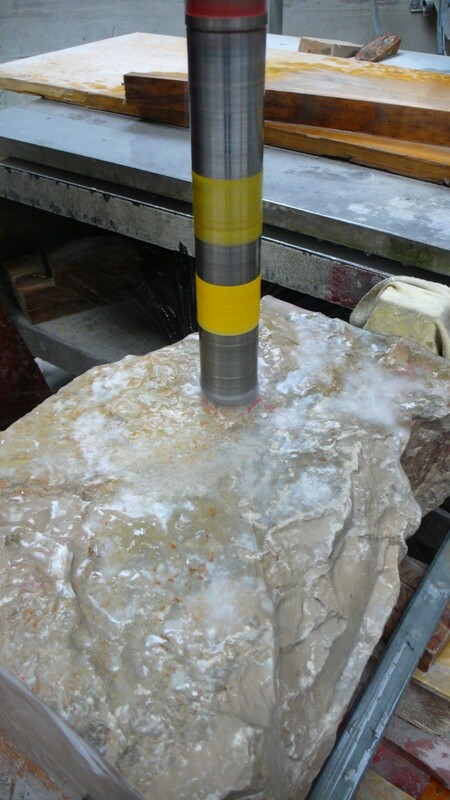 I use primitive hand tools and techniques to carve them – a lump hammer and masonry chisels – in conjunction with diamond blade saws depending upon the available facilities at each quarry. 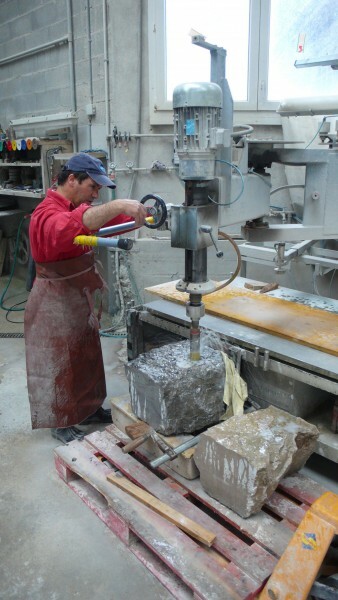 Some quarries are so isolated that electricity does not exist and the only way to sculpt the stone is by hand, hammer and chisel. 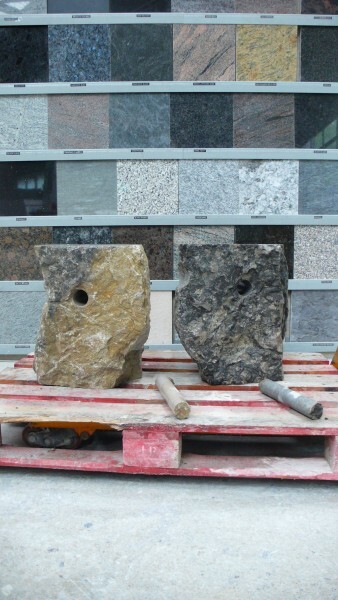 The first part of the process is in the selection of the stone and each piece is selected based on the natural characteristics (size, shape and grain) of the stone. 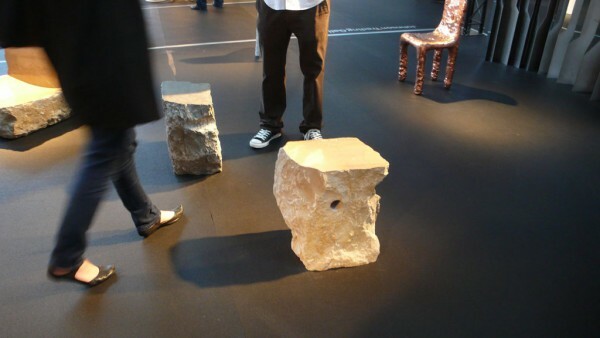 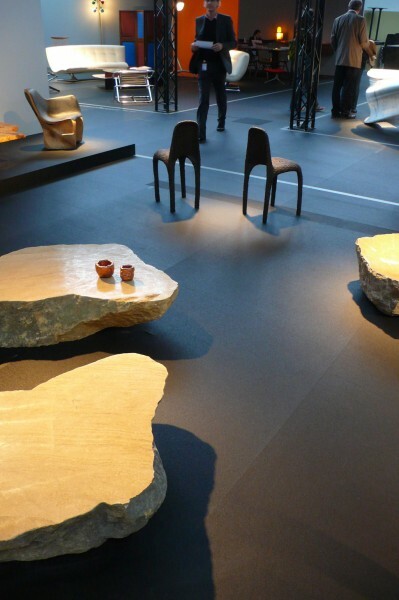 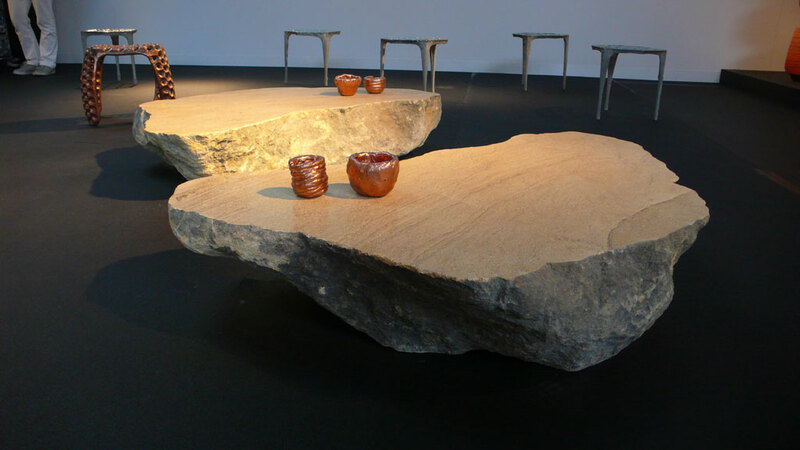 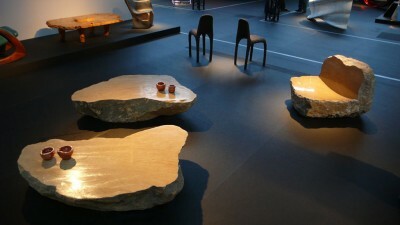 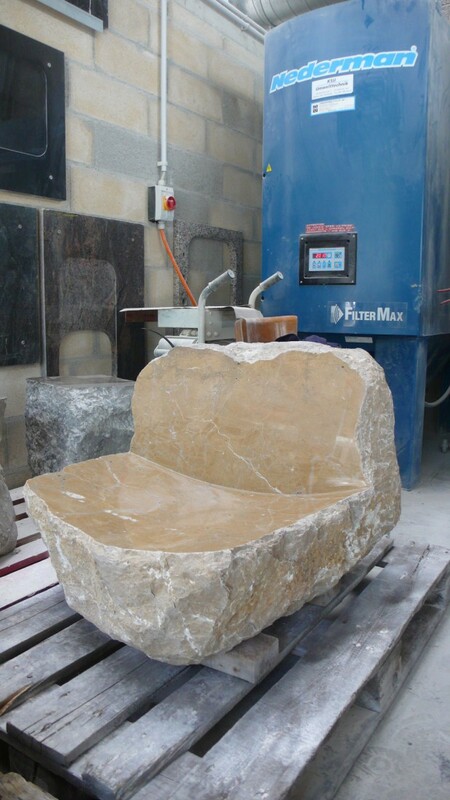 The original quarried shape of the stone influences, or perhaps even dictates, the final form of the chair – a classical approach once coined ‘direct carving’. 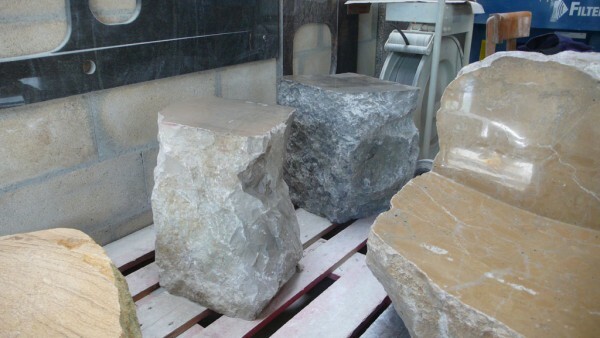 I only carve the stone where it is absolutely necessary and each stone will suggest a different design or poise for the chair to adopt. 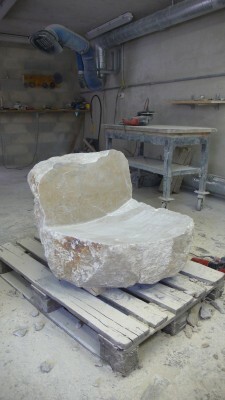 With the Ladycross Sandstone Chair I only carved a small section on the top of the chair to create the seat and back surface, but the majority of the work was done on the underside. 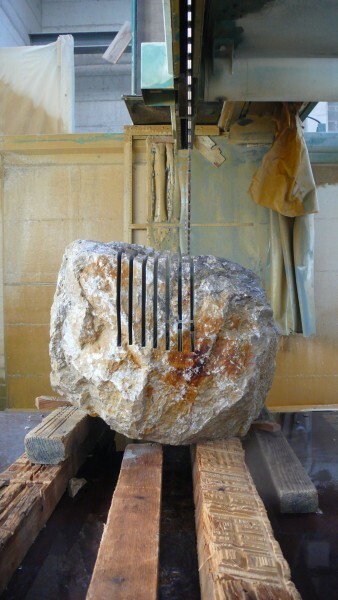 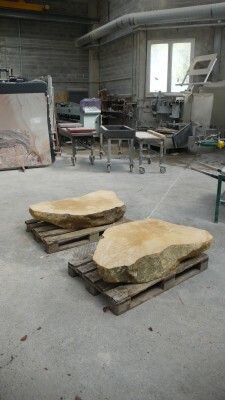 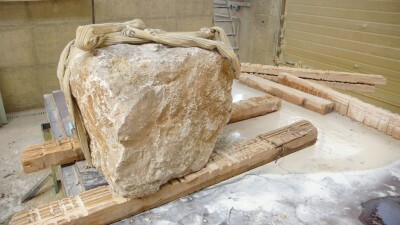 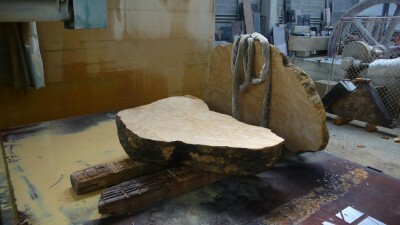 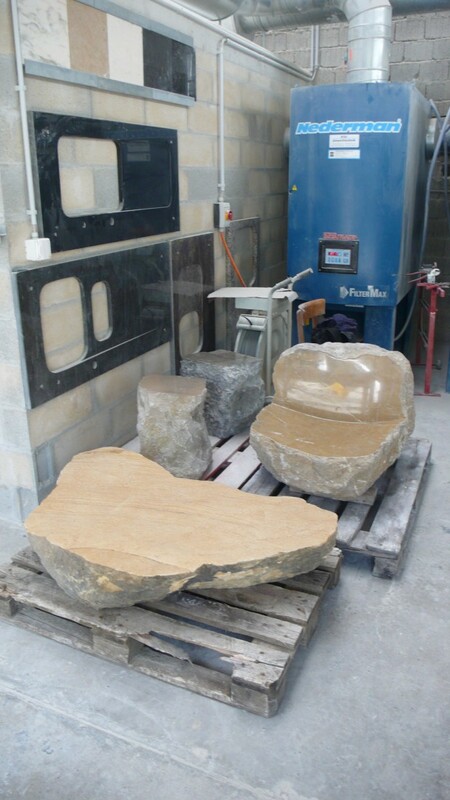 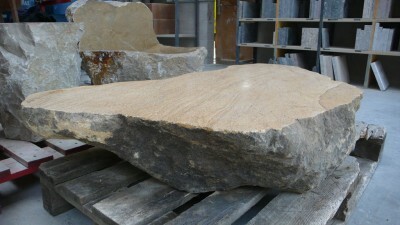 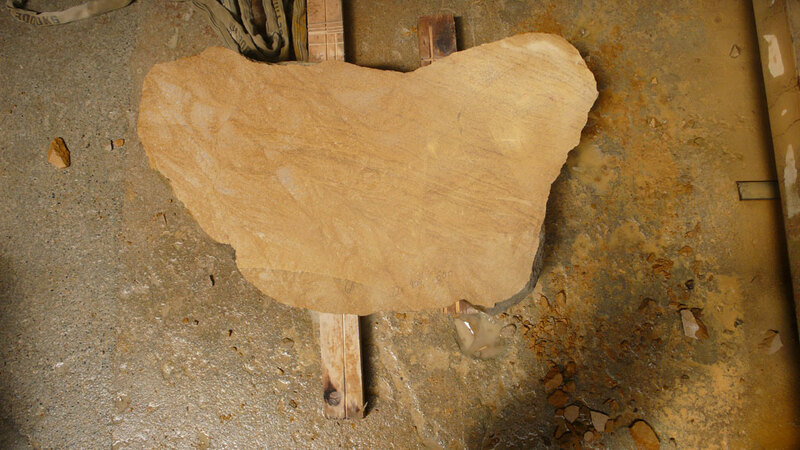 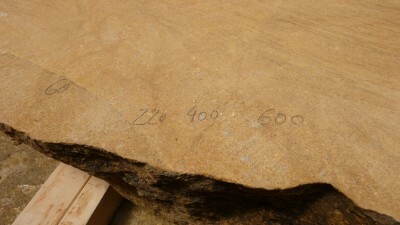 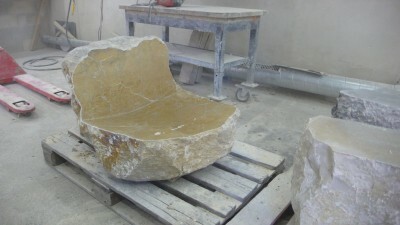 A large section of the stone had to be removed and many hours spent carving a level base to make the chair stable. 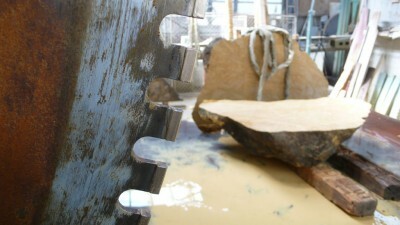 I find it is interesting that much of the carving can’t even be seen. 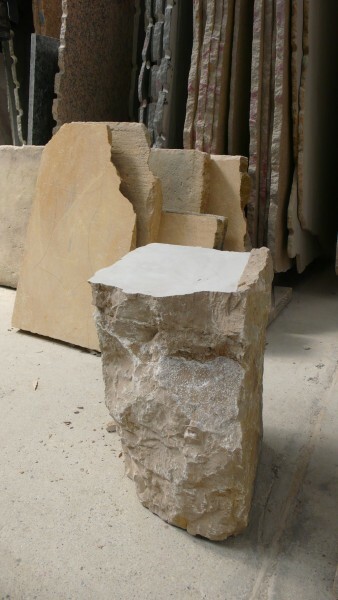 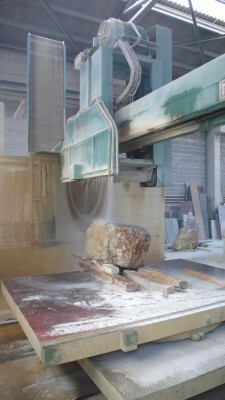 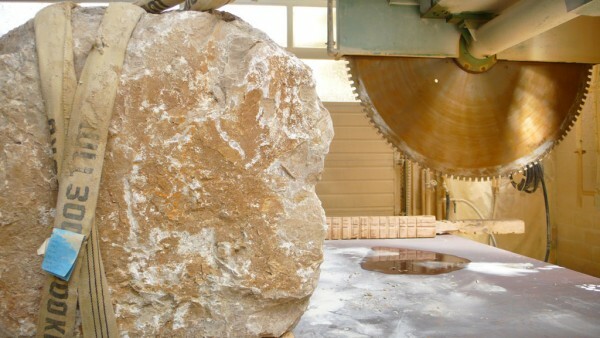 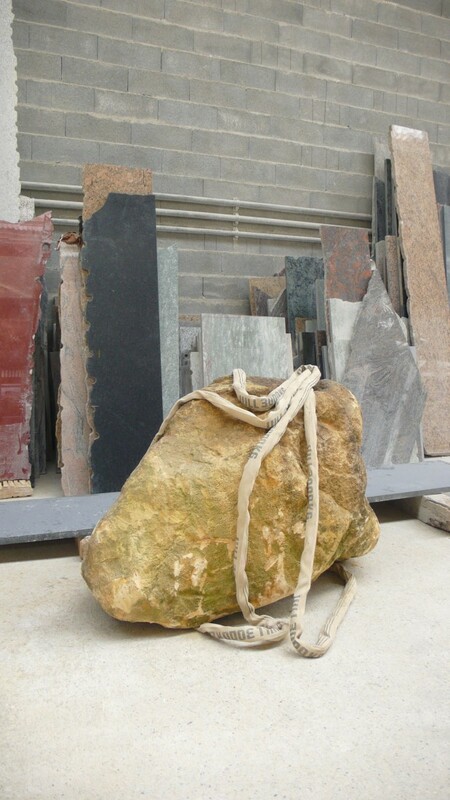 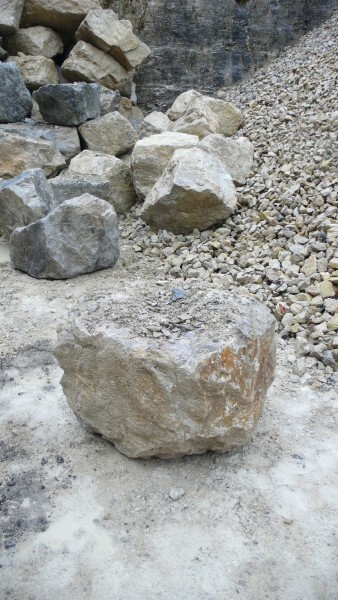 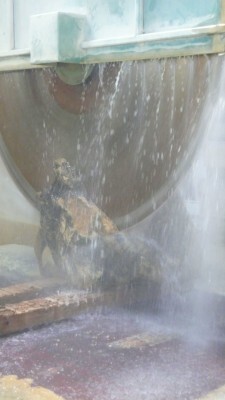 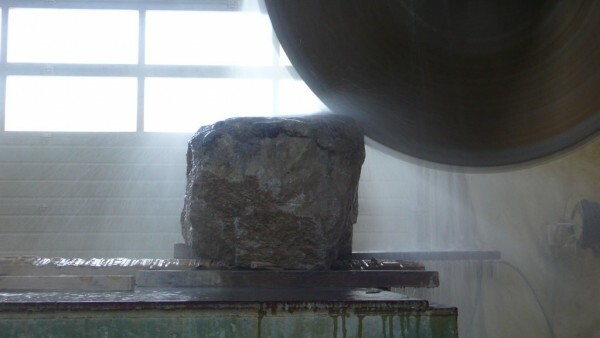 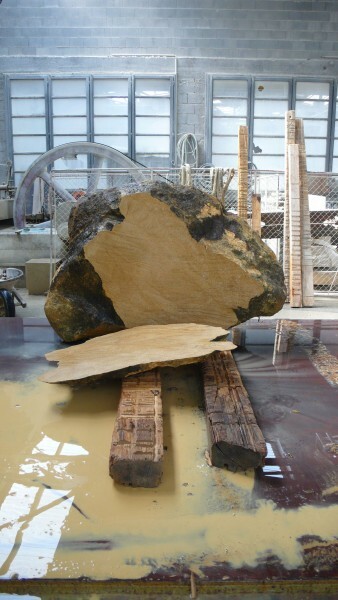 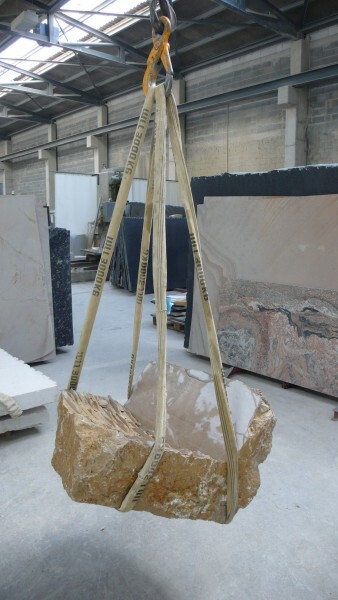 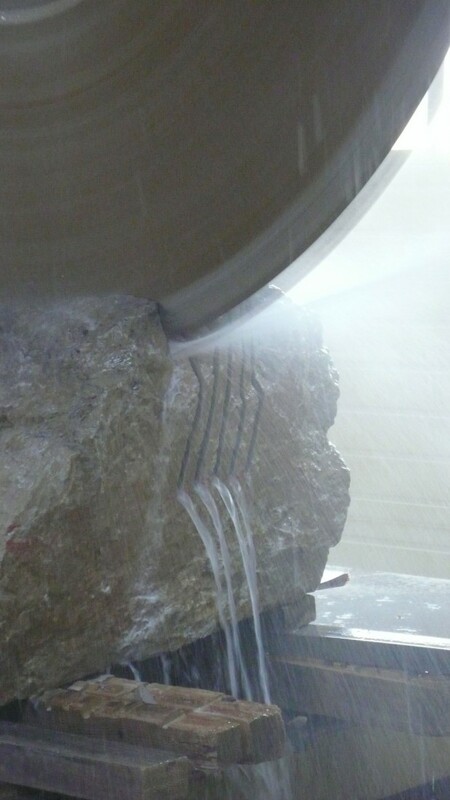 Each type of stone has a unique grain pattern and strength that demands a different hammer and chisel technique, but with each type of stone the process remains extremely physical and one of great patience.